The trustees of Brown Township will dedicate the new township hall Sunday, Nov. 12 at 3 p.m. with a ribbon-cutting ceremony. Construction of the hall was made possible by a $1.1 million gift from the Charles and Betty Sheets Fund of the Delaware County Foundation. 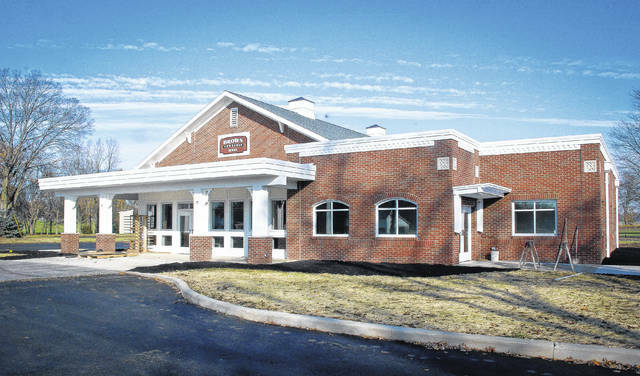 Brown Township trustees will dedicate a new $1.4 million township hall on Sunday. But at least one township resident isn’t happy about it. The township is embroiled in a court battle over the property’s zoning and permitted use with local resident Bryan Schermerhorn, a next-door neighbor of the township property. He initially filed a lawsuit against the township in the Delaware County Court of Common Pleas in May 2016 after the township denied his appeal regarding the zoning of property. Schermerhorn contends that the property is zoned Farm Residential and does not allow for the construction of a government building. He said in his zoning appeal to the township that he disputes the zoning of the property and what it will allow to be built on it. The Delaware County Prosecutor’s Office filed an appeal with the Ohio Supreme Court Oct. 13 on the behalf of the township. Construction of the hall was made possible by a $1.1 million gift from the Charles and Betty Sheets Fund of the Delaware County Foundation. The Sheets family gifted the land to be sold with the intention of the funds going to Brown Township for the construction of a new hall. The first condition for the township to receive the money was for the building to be built on the site of the old Brown High School. Trustee Gary Stegner said the township has “kicked in $382,000” of the $1.4 million. “Although Schermerhorns were lax in prosecuting their case, the Township diligently continued with planning, design, and then construction of the new hall. This was done to avoid revocation of the gift. By the original terms of the donation, the new township hall was supposed to have been completed by November 19, 2016,” the memorandum reads. The township was granted an extension to Nov. 19, 2017 to complete the building. The ribbon-cutting ceremony is scheduled for 3 p.m. on Sunday, Nov. 12. This entry was tagged Brown Township, delaware county, O’Brien, prosecutor, Schermerhorn, Sheets. Bookmark the permalink.